Oh yarn cakes how I love thee, let me count the ways. (literally, I’m fixin’ to count the ways) I don’t always know what to do with you but first I want to stare at you, and then I want to buy you, and then I want to run my fingers through you until I know what to make with you. It sounds so scandalous when I say it like that. 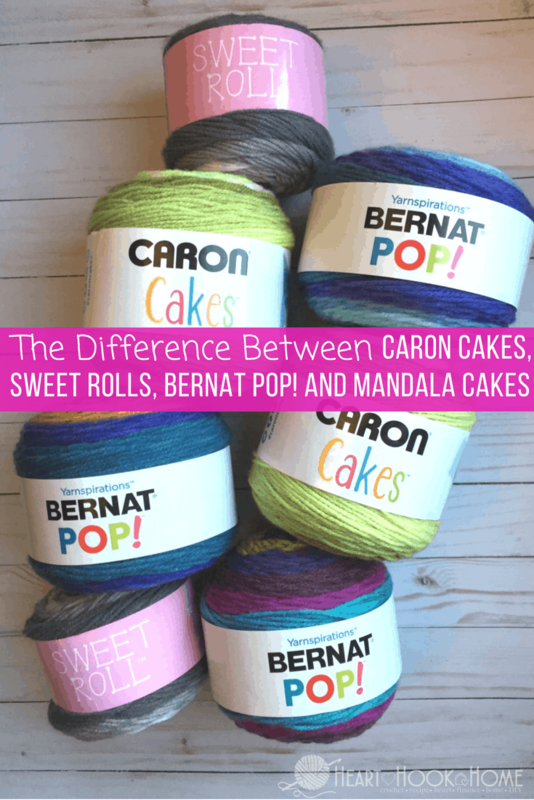 No matter if we are talking Caron Cakes from Michaels (the yarn cakes that started this whole phenomenon) or Sweet Rolls from Joann’s or the NEW Bernat Pop! yarn cakes found at Walmart; I want them all. And now Lion Brand has come out with their own new version called Mandala cakes, also found at Walmart. All the pretty colors, the textures, the excitement and anticipation of not knowing when that color will change. Oh, the things us yarn enthusiasts get excited about. 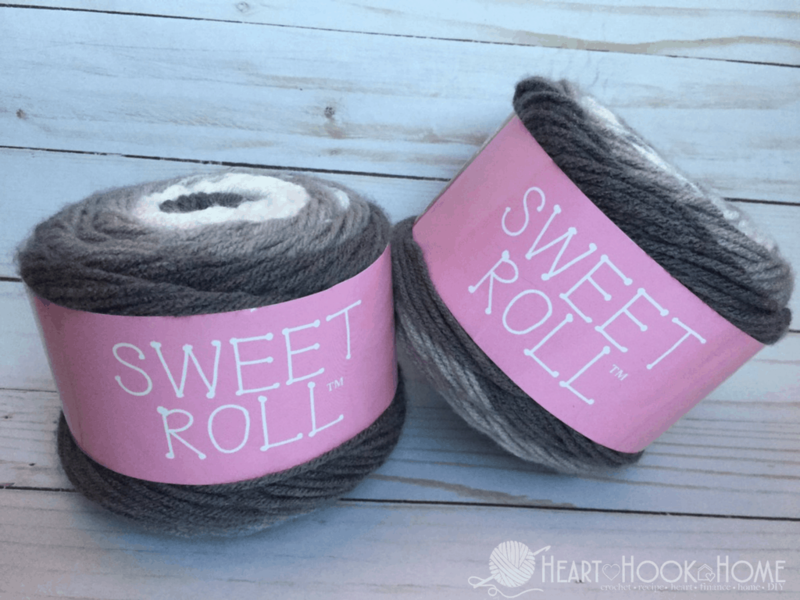 I have already shared an extensive article on the differences (and similarities) of the Caron Cakes and Sweet Rolls here on Heart Hook Home. Now we are going to add in the Bernat Pop! yarn cakes and the Lion Brand Mandala yarn cakes. Honestly: I love ALL of these cakes. I do like some more than others, and for various reasons. So keep reading friend! I do love the size of these cakes, and the value (regular price at least) is much better than that of the Caron Cakes or Sweet Rolls. One thing I do not like: the abrupt color changes. This yarn is my least favorite of the cakes. Please do not interpret that as bad. It really isn’t, it’s just not my favorite. Of the three I have had the pleasure of caressing (the Caron Cakes, Bernat Pop! and the Sweet Rolls) these are the scratchiest. If you have previously worked with Sweet Rolls, this may surprise you as they are quite soft. I wish these were longer (they are the shortest of the cakes) and that the colors didn’t change so abruptly. I do love the color choices though. Mandala yarn cakes are are a little thinner/lighter weight than the other three cakes I’ve discussed. These are also a whopping 590 yards (!!!) and would be the perfect yarn to pair with my Dragon Tears Fingerless Gloves pattern. In fact, I was able to make TWO pairs of my GORGEOUS gloves out of just ONE Mandala cake. 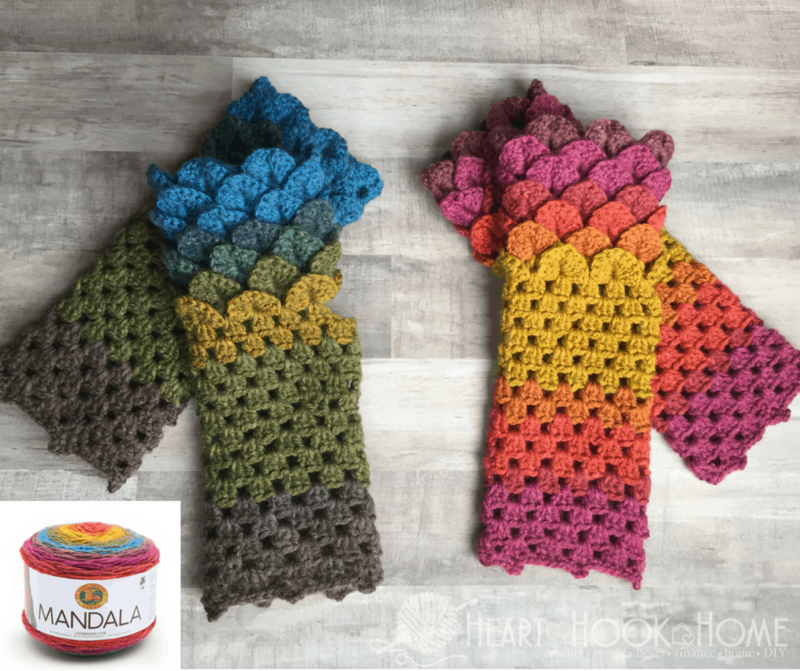 I did control the colors on these Dragon Tears Fingerless gloves and this is How to Create Planned Color Transitions in crochet so that the colors lay just like you want them. Which of these cakes is your favorite and why? Are you looking for some patterns to use up all these yarn cakes? 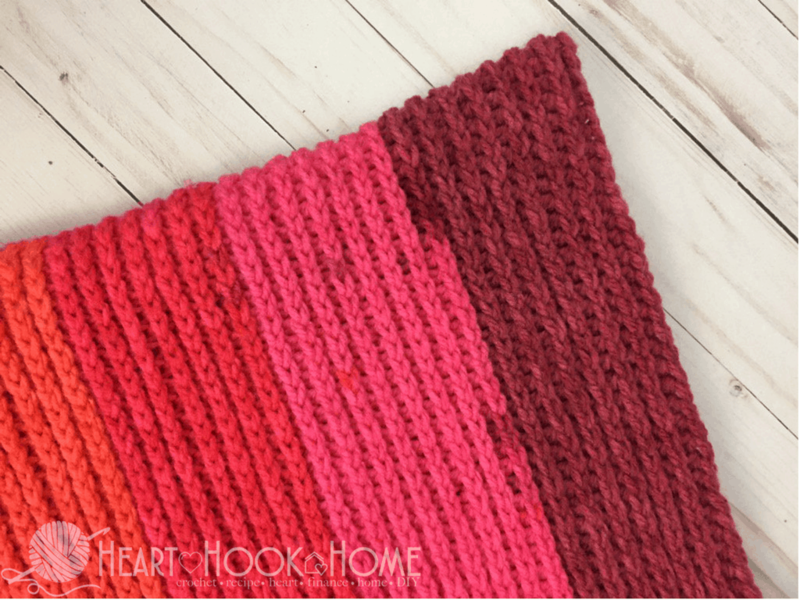 Corner to corner crochet makes a gorgeous blanket (for babies, throws, even king size!) or you could make that Triangle Scarf I was telling you about. I have also seen beautiful virus blankets made with all kinds of cakes. If you’ve got the Mandala I *highly* recommend trying my gloves pattern. It would be absolutely GORGEOUS and I’ll be making myself a pair as soon as I find them. 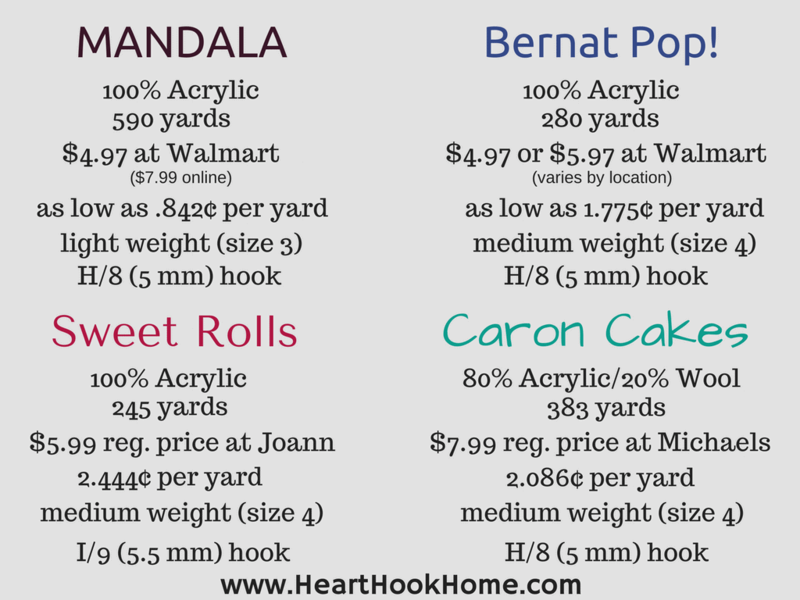 Make sure you are part of the Heart Hook Home Crochet Community on Facebook so you get updated when I get my hands on that Mandala! I want to knit a baby blanket from one of these yarn cake rolls. I have to have a yarn that is soft and washes well. What do you suggest and have you tried Plymouth Hot Cakes Roll? Glad for any advice! I am not a fan of the cakes. The patterns I've seen with the abrupt color changes look tacky. (My opinion). So I stay away from them. It would drive me crazy. And those "pops" that just show up....UGH! The yarns that have subtle blended color changes are fine. 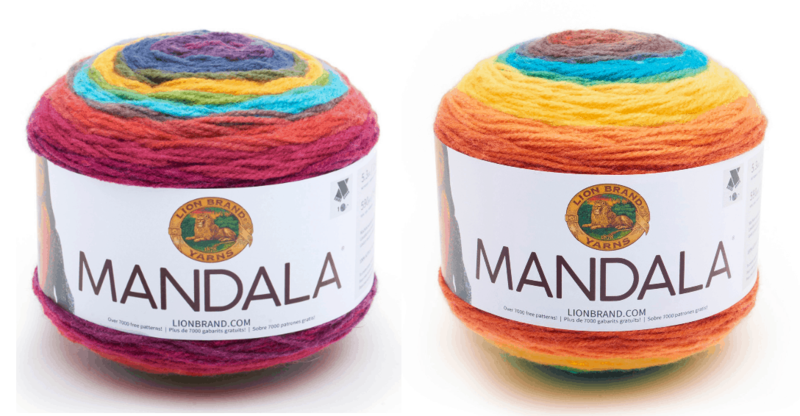 Mandala has subtle color changes and the color schemes are beautiful. It is helpful to find cakes that start with the same color in enough to complete the project. I did have to pull off the first color on one cake to make the correct sequence of colors. But attached it to the last color in sequence so none was wasted. I made a lapgan that came out soft and beautiful. It is a light yarn but was perfect for our warmer southern winter. I am not impressed with Bernat Pops - I bought several rolls and in each one, colors are bled onto other colors. EX - I am knitting "Lipstick on your collar" - in the grey part of the yarn, the hot pink and red show up - it is the same with the white yarn on this roll. It truly makes the scarf I am knitting look tacky. Just finished my first project with Sweet Rolls. Loved the color changes but found I needed a fairly plain pattern to not compete with the stripes. Also just finished my first blanket from mandala. At first it was quite tedious to work with and frustrated with the sudden changes in density of thread but I "got over it". The finished product was mesmerizing. I laid it on my living room floor and just starred at it. The drape is lovely and perfect for a warmer weather baby blanket. I will definitely be buying more of this. I made a blanket 36 X 45 out of two and about a half cakes. Since Mandala is a 3 instead of 4, does it take more yarn for an afghan? Or can you go up a hook size without it being too loose? Hi Pamela! Yes, if using a 3 instead of a 4, you will need more yarn to complete an afghan. You can go up a hook size, but you are correct that the stitch will be looser (which may not be an issue if that's the look you want) and the stitch will still probably be a bit smaller than what a 4 weight yarn would be with the same size hook. Hope that makes sense! You didn't state whether the Mandala color changes are subtle or not (although the other three you stated they weren't. I would like to try a triangle scarf and was wondering about that. Could you clarify please? I just finished making a shawl in Mandala Wood Nymph (after making one in Caron Cakes), and I have to say that the Mandala had a smoother transition for the most part. Hello. Did you knit or crochet it? I’m having trouble finding knitting patterns for mandala yarns. I wanna knit a shawl. Hobby Lobby now has a cake. It is called Sugarwheel. I haven't used it yet, but I plan on making an iPad cover with it for a friend. She chose the yarn. It will be interesting. Does anyone have coordinating solid colors that match Mandala Wizard? Or any of the Mandala's? I'd love to do a solid color border on a blanket that I used Wizard for, and I have several more rolls of different Mandala's that I will be using soon. I've only tried the Bernat Pop!, so far. I loved the softness of it in the finished scarf (cashmere-like but fluffy). But I found working with it extremely frustrating because it's SO smooth and frictionless that I had a dickens of a time keeping the tension tight enough -- the yarn kept slipping through my feed-hand fingers! (I knit American style, perhaps if I could do European it would be better). Am I missing something? My question would be what is the length of yarn before each color change in each of the brands?! I knew it's an odd .. And maybe a time consuming question but it works make a huge difference in which i would purchase for certain projects. I agree with you; I'd like an answer to that question, also. Hello! I don't know the exact yardage, but all of these are much longer than I thought originally. I also try to make sure I purchase cakes that start and end at the same color (or abouts) so that I can better plan my projects, if that makes sense. I have tried them all and currently working with Bernat Pop..I am knitting a shawl and I find that the yarn is rather firm when knitted up and do not think it will drape very well..little dissapointed because I do like the colors but I find that the color changes were just tied on which I do not like to see..this is just my opinion.. I plan to crochet a poncho from a pattern found on yarninspirations, it does look bulky; but I think it will make a terrific late fall/winter poncho. It's defiantly too thick for a shawl as I am making a afghan & it's quite bulky for that purpose; I think it should be classified more a 5 than its current 4 for weight. Though the 4 rating is medium, it more a light bulky. Which Yarn in particular are you talking about? Found your article today after being curious about the Mandala and Pop! yarns! My Walmart has a TON of both currently and I'm intrigued. I've played with the Sweet Roll yarns, I really like them but I'm thinking that Mandala would make a fab lightweight cardi for fall. Picking a color way may be difficult. Yes, I have several n yet to make anything. Saving them for scarves n hats; hand wash because of the wool. I machine wash articles I've made with Caron cakes. I use gentle cycle and lay flat to dry. I haven't had any problems., in fact it makes the articles even softer. No wonder we can't find any in the stores. Look on Amazon. People with Amazon "stores" have bought it up and they are selling it at a pretty hefty mark-up. Walmart has mandala cakes now online! What noticed about the Mandalas n the Pops is that they are more money online @ Walmart.com than in store. $5.99 online n $4.97 in store here in NJ. Only a few Pops are $4.97 online; mostly $5.99. If you want a real treat, try Ice Yarns Cakes. They come in various weights, from fine to worsted, in different fibers from cotton/acrylic blends to fur types to cotton/acrylic with lurex mixed in. The color changes are more subtle and the yarn itself is a joy to work with. I am curious as to which ones have the shorter color runs. I have knit with the Caron cakes and the color run seems very long. Great review! I LOVE, LOVE, LOVE the color, particularly the wool blend of the Caron. Would love to try the Mandala; however, we don't choose to shop at WalMart, so the limitation of one vendor to fulfill the frenzy, is a bit frustrating. One thing people may or may not know - there are more colors of Caron available through Michaels.com than through the stores or even the app! My Bernat Pop! was 140 g, not 280 g as in your comparison chart image. Got some Pop yarn at Wal-Mart and I need more. I was told that it had been discontinued. Where can I get more? I have been to stores in all The county's around my hometown. Please help. I live in Ohio not far from Dayton. Just having no luck in finding more pop yarn. I live in Texas, we have a bunch still in stock at our walmart here. I even went back and got a couple more today. I hope you find some! Have you thought about ordering online? Best of luck! I just bought Pop at Meijer, 3 for $12.00. I was told it was being discontinued, then a month or so later that it was back with new labels. I hope the same thing happened at your store. Super review! Thanks. Now I REALLY need thos Pops & Mandalas! I'm calling on of the southern Walmarts & getting some shipped. Ha! Hope you love them too!! I found some mandala in south hill va. Need at least one more cake. Cant find it here in pa. Thanks for finally writing about >The Difference in Bernat Pop! Yarn Cakes, Caron Cakes, Mandala and Sweet Rolls <Loved it! they are in Hobbycraft now. 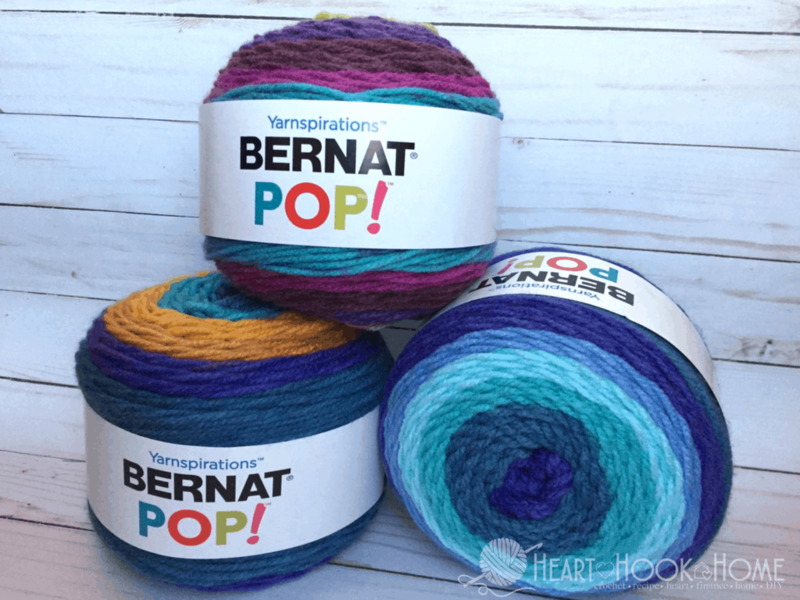 Do you know if the Bernat Pop yarn will be available in all Walmart stores? I've not been able to find it at any of the four Walmart stores that are near me. Apparently the Mandala is only going to be in 500 stores. Only one near me has had it and I only found two cakes. I bought two sets of the Mandala at the Walmart nearest my home. The other Walmart's either never stocked them, or by the time I looked, did not have all of them. I couldn't make myself buy an incomplete set! Now the Bernet Pop! I found today by accident, at a Walmart I don't always shop at, and only found 9 which I though was weird. So, I went to two other Walmart's, and found nothing! I know the one by my house doesn't have them, just a few remaining Mandalas have two more Walmart's I can check out, with in an hour from my home, so this crazy yarn lady is on a mission! I tried to look for a complete list of Bernet Pop! online, and had trouble even finding a picture. Any know where I can find a list, and possibly purchase more, if Walmart does not have them? Hi Brandy! It is so aggravating! I can't find the Mandala so I've been trading with a friend of mine in Washington state. (I send her Pops in return) I don't know if you'll be able to buy them online. I can hardly find them in my stores from week to week. I did hear that the official release date wasn't until March, so maybe after then we'll find them at every Walmart? I bought a couple of Caron Cakes when they first came out, and was horrified by the dye spots! I contacted Yarnspirations, they are NOT intentional, they are a design flaw. They were nice enough to send me a $20 coupon off their online site, but unfortunately, I didn't have my original receipt from Michaels so I couldn't return them. I went back to Michaels when they got their re-shipments in and the cakes are still covered in the spots, some more than others. Not surprised that the Bernat Pop! cakes are also spot covered, Yarnspirations owns both, so likely made at the same site and exclusive to either Michaels or Walmart. P.S. LOVE the gloves!!! I actually love the abrupt color changes in Caron cakes, IMO makes it appear that I've actually changed colors especially on C2C pattern. That being said, I've never paid full price. Michaels almost always has on sale or coupon, depending which approximately $5 or $6 each. I've made 5 baby & 2 lapghans this year. Look forward to trying Lion Brand mandala. I really appreciate your review on these "cakes". I had not heard of 2 of them and now I want to try them all. Your gloves turned out really pretty. Thank you so much for your insight on these lovely cakes. I've not yet had the pleasure of working with Bernat Pop but I did find Lion Brand's Mandala and I have to say I'm in love! Oh the colors, the feel etc......lol!! !Yes the color change is as abrupt as the Caron Cakes but I can live with that, oh well can't have everything. Since it has only been about a week or two since we discovered these new cakes not everyone in our knit and crochet group has gotten there hands on them and unfortunately not all Walmart's here in Albuquerque carry them yet so I'm going to be sharing your very informative article on my FB page. Just a quick question...on the Mandala cakes is the color change as abrupt? I noticed you specified it on the others. I'm just wondering? Yes, the color changes are abrupt, and one of mine had the color changes knotted in. Some of the color changes are quite short. What ply yarn is this or is it like red heart crochet thread # 10? Hi Diann! I don't have them with me at the moment but I can check into that for you! It is not #10 crochet thread, much thicker than that. Most of these are worsted weight, except the Mandala is more like a DK. I just used the Caron cakes for the first time and I love the softness of it. It did have a lot of color pops with this yarn but I think it added to the project I was making. I made a virus blanket for a baby with it and it had a tie dye effect with all the speckles and the way the color changes fell. I want to make a hat and some booties to match but there won't be much color change because each color goes on for so long. I am excited to try the Mandala. I like that there are so many yards and that it is more affordable. I am also drawn to the colors of the Bernat Pop. For fans of the Sweet Rolls..... Herrschner's has them for $3.99 each when you buy 3 or more. Best price I've found! And if you join their savings club you get an extra 10% off all your orders, which can be stacked with one other online coupon. I had heard that! :( I have only seen the smaller rolls though, but I don't have an AC Moore. I personally love PSR the best. It's a little disappointing that they are so small, but that's beside the point IMO ... I think they are very soft (been making myself a blanket out of it) and it's always readily available to me (whereas I don't live anywhere near any store that sells yarn, I'm 15 miles away from any/all yarn stores and have only my 2 feet to get me there). I actually like it more than CC ... with the Mandala, I wish it wasn't so costly because I'd like to give one or two cakes a try myself. Good point! I am lucky that I have all major craft stores (with exception to AC Moore) within a few minutes from me. I'm getting a Manadala in today (swapped with a crafter in another state) and I can't wait to see what its all about. The Mandala is cheaper than the Caron Cakes. Maybe the "pops of color" is a design feature, and why the yarn is called "Pop!" Yes it could be. I just wanted to point it out so that we are all aware and not disappointed or taken off guard. I've notice that the Sweet Rolls also has that pop of color. 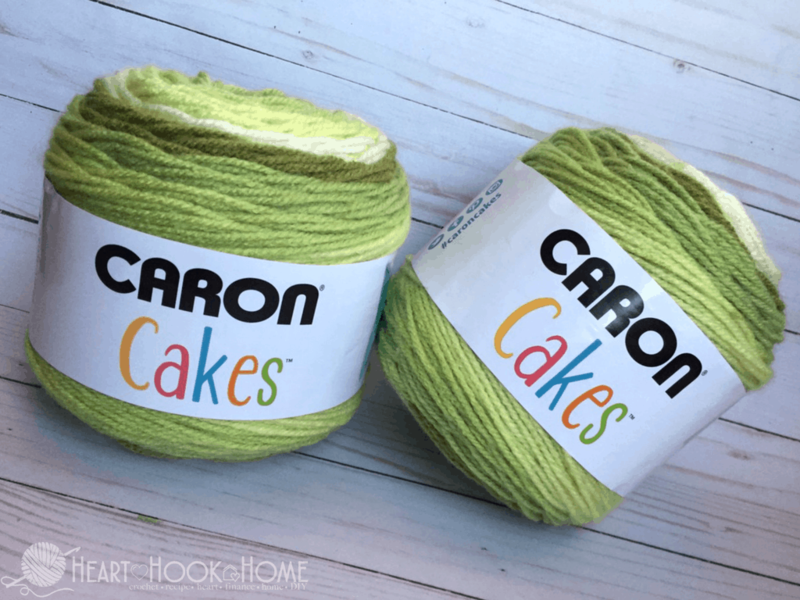 I've only worked with the Caron Cakes, and that's only because I haven't been able to make it out to the stores to get the others ;) Having said that, from just reading about the others since they came out, the Sweet Roll and the Pop! did not give me the same urgent reaction to rush out and get them. Couldn't really say why - maybe Im partial to the 20% wool of the Caron Cakes. The Lion Brand Mandala is sort of pulling at me - because I've been drawing mandalas so the name alone attracts me. Also, that yardage looks good ... I'm thinking afghans and maybe ponchos, and lots of hats and other winter wearables for my cause. Maybe this weekend I can make it out - all this snow and ice should have melted by then! Thanks for the reviews! I enjoy and meeting people that I to crochet as much as I do! Getting to see other ladies work is amazing. I enjoy this Crocheting community very much!! I'm glad you're here Ruby!